A controversial drive for a course correction in Russia Russia by Germany’s Federal Democratic Party (FDP) leader Christian Lindner was praised by the country's left-wing forces, whose candidate for the Chancellor post, Sahra Wagenknecht, welcomed the earlier statement by Lindner, Spiegel reports. 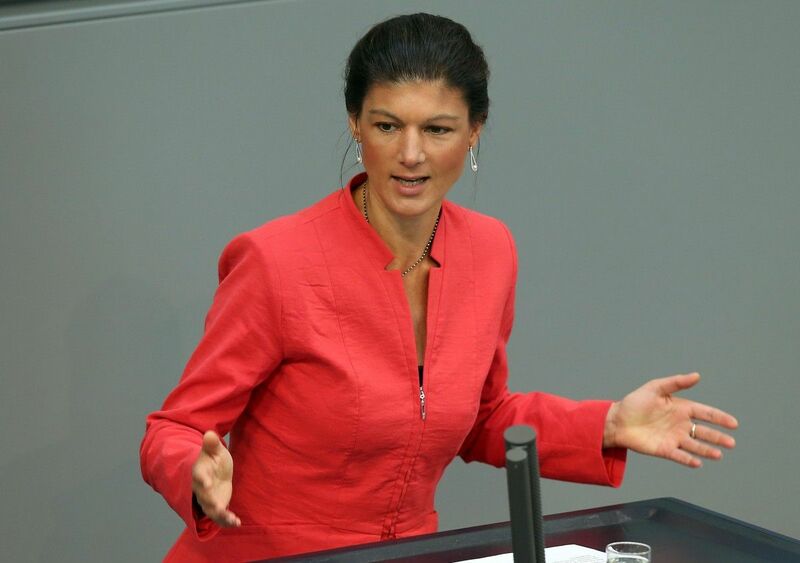 In her interview with the Funke Mediengruppe, Wagenknecht stated that the need to return immediately to the "detente policy" in relations with Russia for the sake of European peace and security, Spiegel wrote. "If the FDP recalled these foreign policy traditions, this is welcome," she said. As UNIAN reported earlier, Germany’s FDP leader Christian Lindner suggested that the issue of Crimea’s illegal annexation should be "sealed" for now in order to make progress on other issues of relations with Moscow. He said that it is necessary to work out proposals that would allow Putin to change his policy "without losing face."